Cruiser HMS Cleopatra (launched 1940) laying a smoke screen. 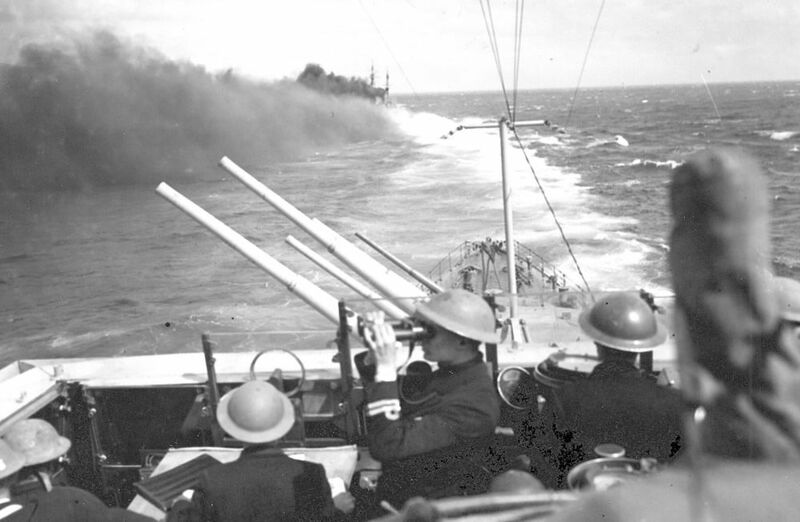 As seen from the bridge of the cruiser HMS Euryalus (launched 1939). Taken in the Mediterranean circa 1941. This HMS Cleopatra laying a Smoke Screen Art Print is created using state of the art, industry leading Digital printers. The result - a stunning reproduction at an affordable price.